It is incredible how one person planting just one of these seeds can snowball into something so profound that we will never know the true impact this side of heaven. 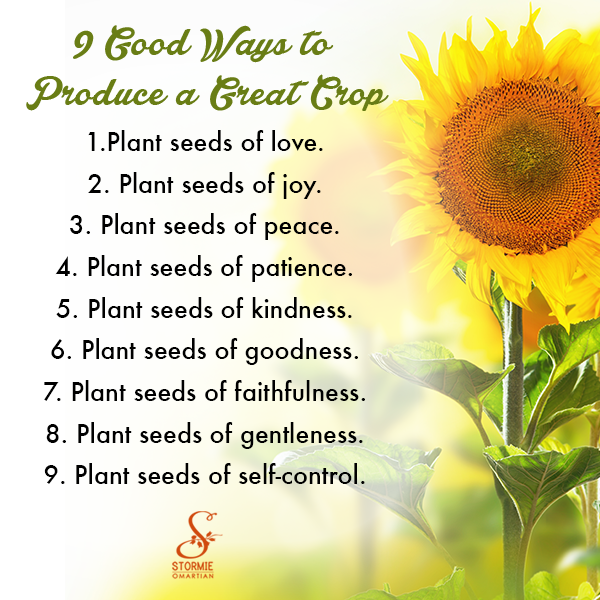 Lets’ be seed planters in 2015! Feature Image “Image courtesy of[ samarttiw] / FreeDigitalPhotos.net”. Thanks for the reminder Rebecca– those are fruits I long to see in my life. Love you blog. Love # 6. I wish I have come up with that explanation.